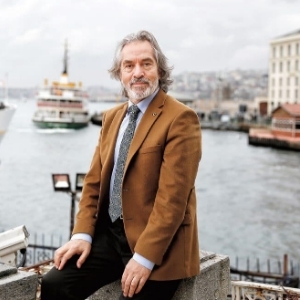 Born in Uşak in 1958, İskender Pala graduated from the Faculty of Literature at İstanbul University in 1979. In 1983 he completed his doctorate degree in Divan Literature. He has published articles in various scientific and literary encyclopedias and magazines as a literary researcher. He wrote textbooks for secondary and high schools. In 1982, he served as a lieutenant in the Naval Forces Command and carried out maritime history researches. Pala has many books such as Shah Sultan, Lale Devri, Efsane, Katre-i Matem.